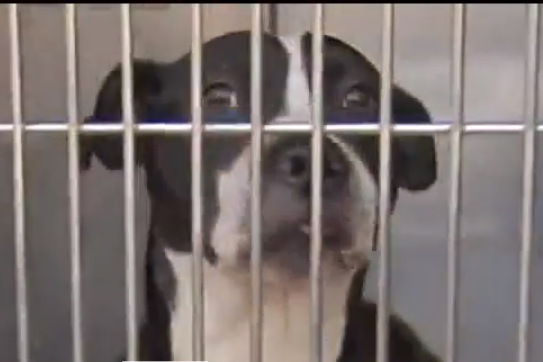 PETA joins anti-pit bull coalition. An adopted pit bull that attacked its new family on Wednesday afternoon had passed behavior screenings and was thought to be safe, according to Susan Cosby, executive director of the Animal Care and Control Team, which facilitated the adoption on Monday. "We do a behavior evaluation [but] it is a snapshot in time," Cosby said. "No behavior evaluation can guarantee safety so it is never perfect, but we do our best." The dog attack at the family's home in the 9400 block of Lansford Street in the Academy Gardens neighborhood of Northeast Phildelphia left an 11-year-old boy in Children's Hospital of Philadelphia with his left arm badly mangled, 6ABC reported, which necessitated reconstructive surgery. Cosby said ACCT is holding the dog, which will not be put out for adoption again. She called what happened "horrible and tragic." The boy's mother and 10-year-old sister also suffered bites to the arms and were taken to Aria-Torresdale Hospital for treatment of their injuries. "After being bitten, two of the children ran from the house and went to a neighbor's house, the 33-year-old mother ran and locked herself in the bathroom," said Philadelphia police Chief Inspector Scott Small. Both children have since been released from the hospital, according to police. Laura Garber, the manager of behavior and enrichment at the Pennsylvania Society for the Prevention of Cruelty to Animals (PSPCA), said that shelters evaluate the personality of new dogs that come in before they are adopted. The evaluations include how the dog is around children, their aggressiveness and how they react to stress, Garber said. “When we are talking about a home where children are involved, we are really looking at bulletproof dogs” that do not have behavioral or aggression issues, Garber said. The PSPCA says they interview owners to try and match them with their ideal pet and whether a dog should be around children. But if a newly-adopted dog does show signs of bad behavior, it is important to get professional help – a wait-and-see approach is usually unsuccessful, she said. As for the rare situation where a dog violently attacks?